Take the bike road home. This three piece Karakorum Pannier Set comes in a classic look and is made from a combination of lightweight and durable materials certified in accordance with the strict bluesign environmental standard. 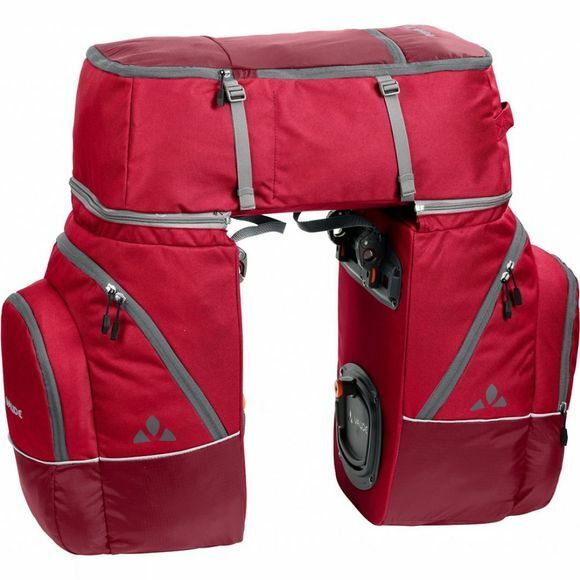 These full featured Vaude pannier bags are ideal for all neat freaks who are traveling with a large amount of gear. The roomy main compartments of the side panniers are divisible for easier more organised packing. Further storage is possible in the front patch-on pockets with organiser elements and the large top lid compartment. This has an upper mesh pocket for storing wet gear, so that it can dry as you ride, while the compression straps keep your sleeping bag, pad and tent in place. 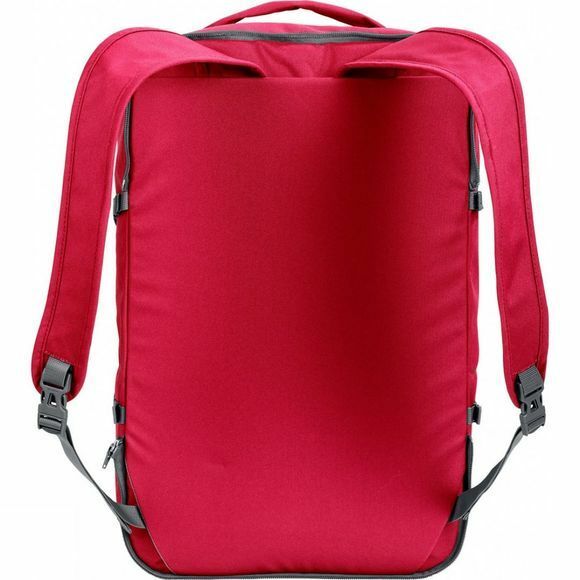 The Top Case can also be used as a backpack and has a lightweight back padding for comfortable carrying. The bags are securely attached to the right and left sides of the rear gear rack with the QMR 2.0 system, which also allows for easy adjustment and quick on-and-off.